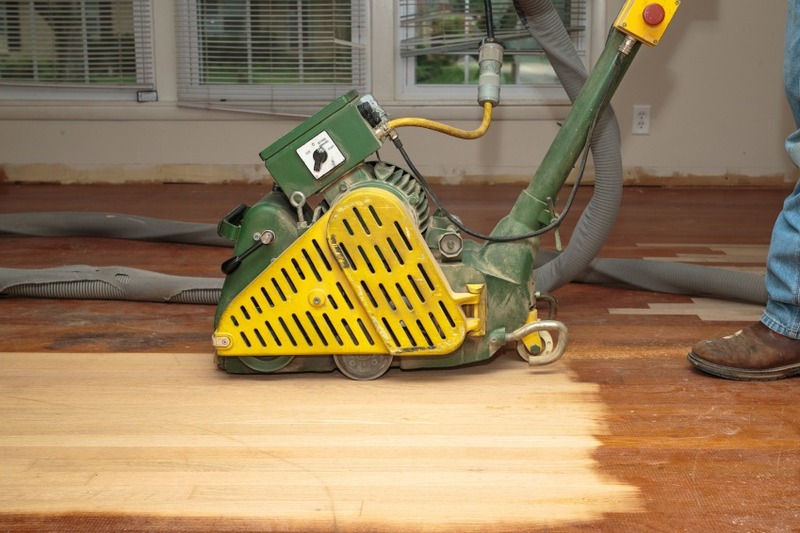 Timber floor sanding costs from real reported jobs on ServiceSeeking.com.au range between $1,560 to $17,000. 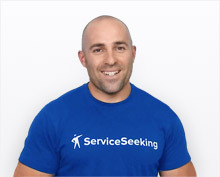 See below for real ServiceSeeking.com.au reported timber floor sanding job examples. Examples include total project costs for labour and prices per square metre of timber flooring. Balgowlah 90sqm of blackbutt currently oiled needs sanding and coating with traffic formula, matte finish water base polyurethane. Forestville Please provide a fixed price to sand, stain with Feast Watson Japan Black and seal with three coates of Polyurethane. Turramurra 110 sq meter remove and dispose underlay and carpet. Woodridge Average 3 bedroom house in the area. Sand and polish Lounge room and hall ways. Needing quotes to get my floor boards sanded and coated. Lounge room, kitchen, hallway. Please show me some examples of your work. Need job to be completed within the next 2-3 weeks. Cessnock i have 80sqm of floor sanding. old house carpet removed in two rooms an need someone to prep and sand and polish. Bondi Beach Sand and polish original timber floor in one bedroom apartment. Approximately 45-50sqm (bedroom/hallway/lounge). North Manly Need existing timber floors sanded and polished. Kitchen, dining and lounge area total 100 sqm. Algester 53m2 of timber flooring to sand and polish. 13 Timber steps in stairwell to sand and polish. Repair hole 2 timbers at top of stairs. Tarragindi Sand hardwood floors and high gloss polish (non-oil based). Approximately 80m2 of floor to be sanded and polished. Looking to have this job done end of January/early February. Guildford I have a house with polyurethane floors that have peeled in large areas. I need this fixed (advise if you can repair or have to redo and I also require 2 other rooms carpet removed and floors polished. Boards are Cyprus pine real floorboards. Boards in the 2 rooms are virgin and have always been carpeted. I would prefer to use tongue oil to poly this time as its readily repairable. This house is about to rented out. It is totally empty now and needs to be finished by next saturday the 6th. I am looking to book somebody today to work on this next week. I can provide access to look at the job today and tomorrow if you need it. Croydon Park 2x bedrooms, hallway, dining & kitchen floors to be filled, sanded & polished. Cyprus pine.